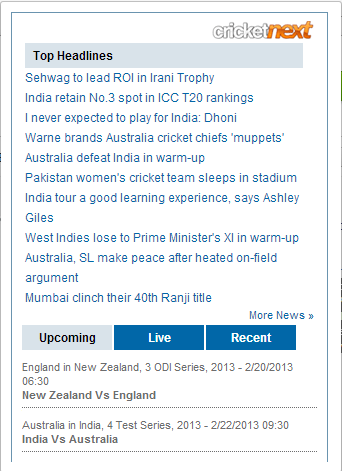 ESPNcricinfo extension for Google Chrome, giving you the latest cricket news, features and live scores from popular cricket site, ESPNcricinfo.com. Yahoo! 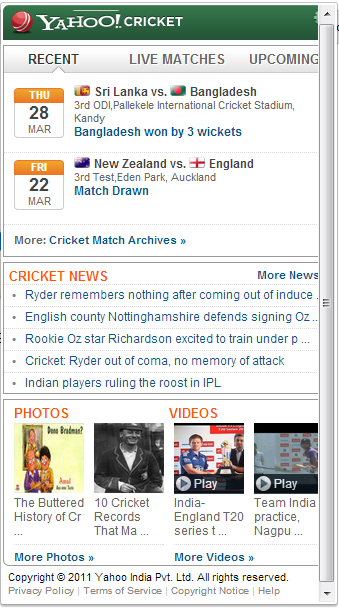 Cricket extension for Google Chrome keeps you up to date with all things cricket - live cricket scores, quick snapshot of recent matches, and latest cricket news. In addition, get access to all the latest photos and videos. 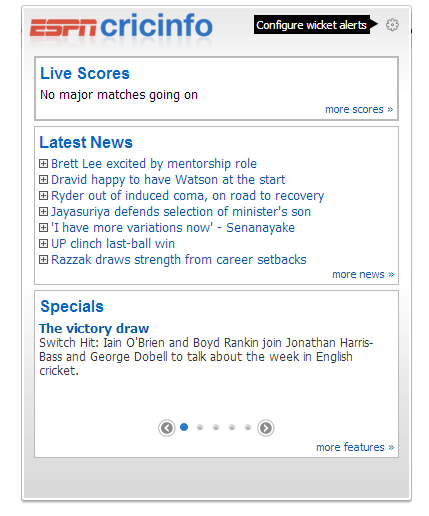 Cricwaves brings live cricket feeds right to your browser. 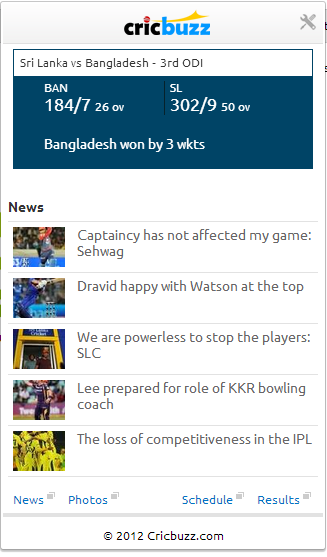 With this extension you can now follow match updates in a non intrusive manner.